While most of us are enjoying the summer, fashion designers are busy planning and delivering what’s going to be “in” the next sunny season. A few weeks ago I had the opportunity to assist my very good friend, fashion photographer Greg Vaughan, at the Burkman Bros Lookbook SS2014 photo shoot. 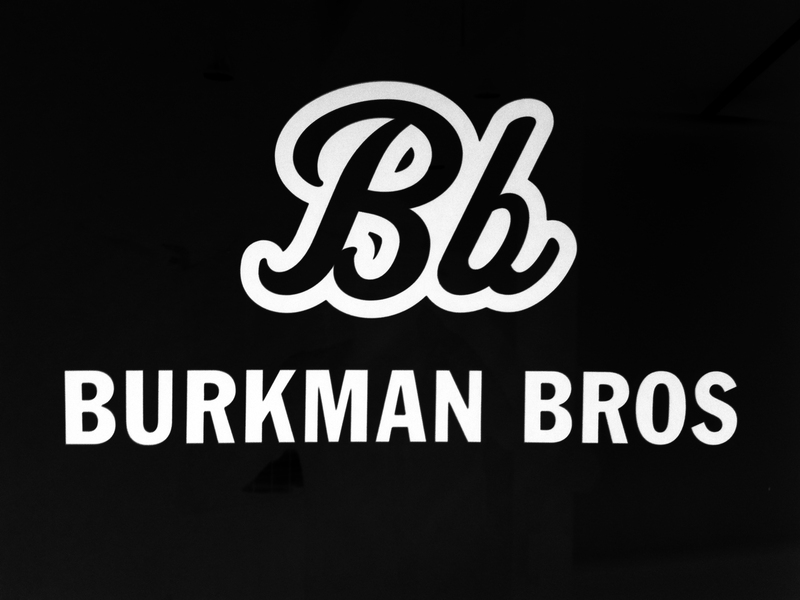 Canadian brothers Doug and Ben Burkman (who previously designed for GAP) started their own label Burkman Bros back in 2009. It’s their take on classic menswear pieces like plaid shirts, twill shorts and henleys influenced by their expeditions all around the globe. 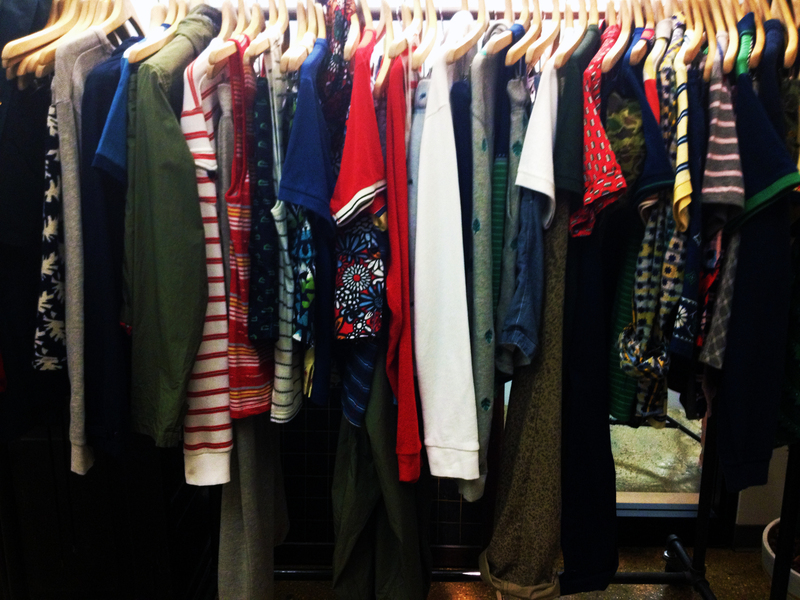 The result is a menswear line that is distinctive and eclectic but yet spontaneous and strong. I arrived to the Burkman Bros HQ in the heart of the Garment District in New York early in the morning. After sipping on our coffee, Greg and I promptly set up the photo equipment while chitchatting about what we had done over the weekend. Meanwhile backstage one of the male models, Frankie Fonseca, was getting his hair done by grooming guru Tony Kelley. 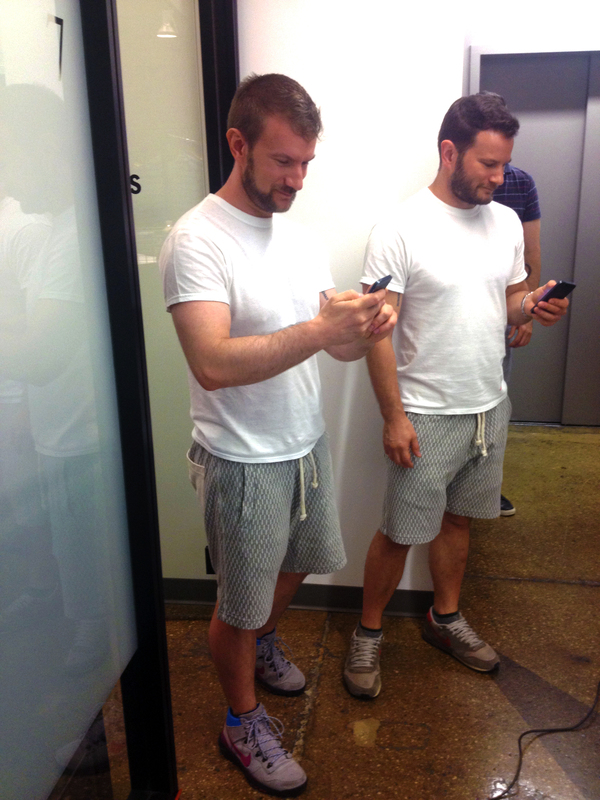 At the same time brothers Doug and Ben showed up sporting not only the same sweat shorts but also the same color T-shirts (which they didn’t plan on!) – talk about making an entrance, right? Everybody thought it was hilarious and I found it so cute. Just lay your eyes on these guys – don’t they look adorable? The guys put on their outfits and it was show time! Snap, click, snap, click… One photo after another, we were on a roll. Every once in a while either Doug or Ben would jump into frame to fix the ensembles and give directions to the models while I would review the images as they were popping up on the computer screen, making sure the light was right. 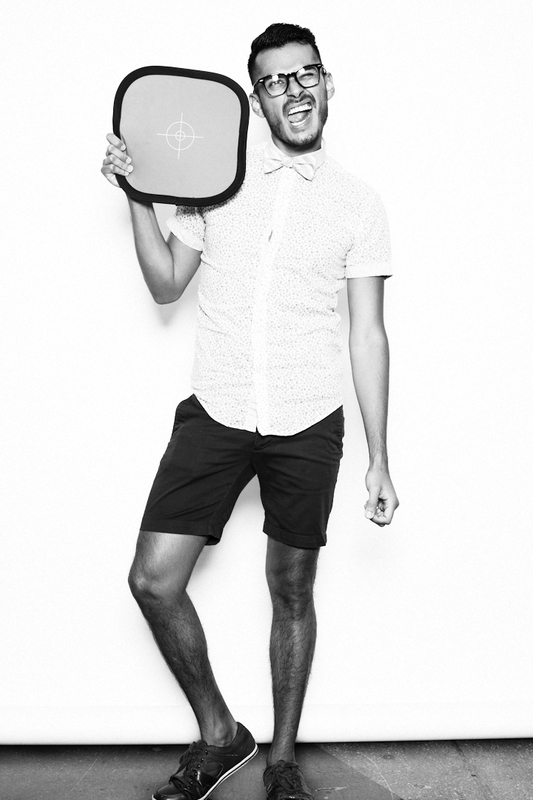 The concept of the shoot was very casual and laid back, just a bunch of friends hanging out on a “Friday afternoon”. The ambience at the Burkman Bros HQ was cozy and cheerful. 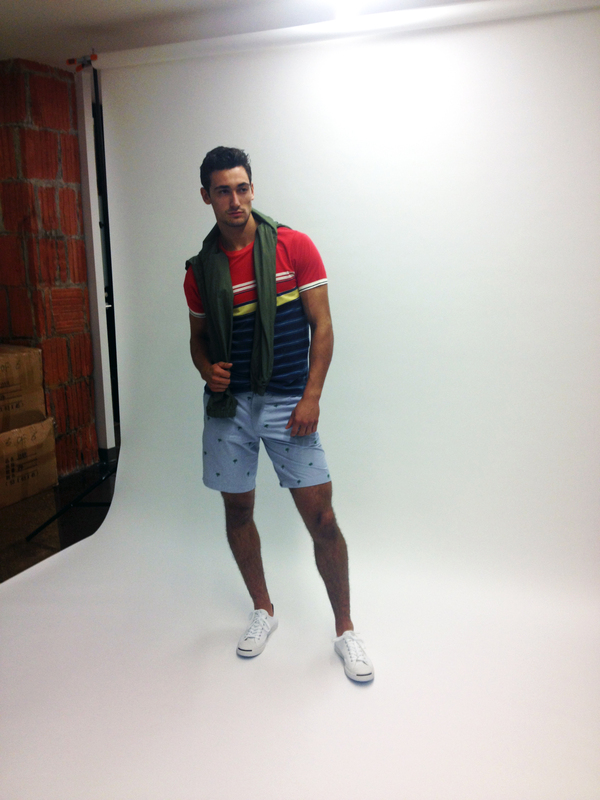 Josh Truesdell would entertain us with his funny comments while changing outfits and Greg… well, you could hear his laughter everywhere in the building.